Across West Papua, a series of remarkable and disturbing text messages has been circulating the claim that Indonesian security forces are preparing a major security assault across Papua in an operation that allegedly began on February 10. 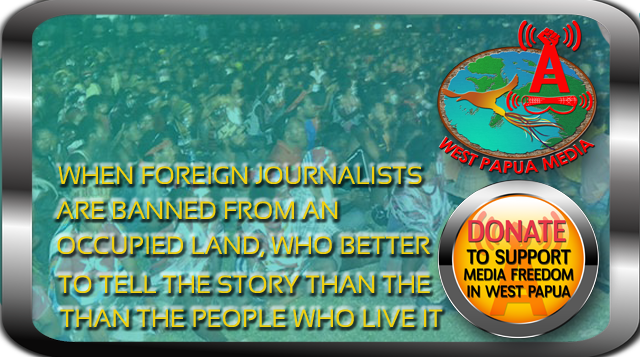 West Papua Media has been unable to speak with any of the alleged participants in the meeting, nor any official representative of the organisations present, to verify these reports. However local sources are reporting that security forces have intensified patrols and street presence in Jayapura at least that would correspond to such an operation. According to the messages a meeting was held at the Hotel Aston at 10am on February 9, between Polda Papua senior police officers. Also at the meeting were the Papuan governor, the Commander of Cenderawasih Military District Erfi Triassunu, and officials from the Papua District Attorney, State Intelligence Body (BIN), the army Strategic Intelligence Agency (BAIS), senior Kopassus officers, and leaders from Barisan Merah Putih – the main pro-Indonesia militia. The meeting was allegedly being held against the threat of disintegration of Indonesia by separatist groups in Papua, according to the messages. 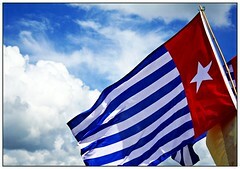 Participants allegedly raised the issue that “pro-merdeka” Papuan independence aspirations had been “globalized” and were attracting widespread international support especially after the brutal and heavy handed crackdown by Indonesian security forces on the Third Papuan People’s Congress on October 19, 2011, according to the source. The text messages were said by local human rights sources to have come from a “very reliable source close to the military”. It is not known at this stage if these text messages have been circulated deliberately by military intelligence as a possible tension building exercise. Threats by SMS to human rights defenders and journalists are commonplace in Papua, widely believed to come from military sources. Across Papua in recent weeks, SMS messages are also circulating claiming that “mysterious killings” are allegedly being perpetrated by Indonesian security forces against West Papuan civilians. Reports have been circulating that a man allegedly from Yakuhimo, Puncak Jaya, was killed and his mutiliated body turned up in Sentani, and another allegedly was found in a marketplace in Abepura. Additionally bodies have been reported as being found in similar circumstances in Timika and Wamena, but none of these reports have been able to be independently verified. Following the armed skirmishes between the Indonesian army and police with a group thought to be the TPN/OPM led by John Magay Yogi, and a number of mysterious shooting incidents, the towns of Enarotali and Madi in Paniai district are full of military personnel who have arrived from outside Paniai. Although the situation was thought to have improved, the presence of military personnel has spread anxiety among the population. The reason for the increased deployment of troops to Paniai may be to hunt down some weapons that were seized by unidentified persons from the police station in Komopa, sub-district of Agadide on 16 August. Or is it because Paniai is regarded as an area of conflict which needs extra action on the security front? Whatever the reason, the local people along with local government officials long for a peaceful Paniai and call for a halt to the dispatch of more military troops. The local people have called on the local military chief, the military commander of XVII/Cenderawasih military command as well as President Susilo Bambang Yudhoyono to pull back these troops from the area. According to Yafeth Y Kayame, head of the Suku Mee people, the additional deployment of many troops to Paniai has undermined the call for peace that was made last Saturday in Enarotali.. Local people have become more frightened than ever. The local administration should not keep silent but should take steps to safeguard security for the population. If it is only to re-capture two firearms, then the troops already here would surely be enough, without bringing in more troops, they say. Many people think that the presence in the area of TPN/OPM forces in Eduda is being used as a justification to bring troops here from Jayapura and Nabire. According to some sources, in addition to infantry brigade 753/Arga Vira Tama Nabire, a Brimob company is also being deployed to Paniai. 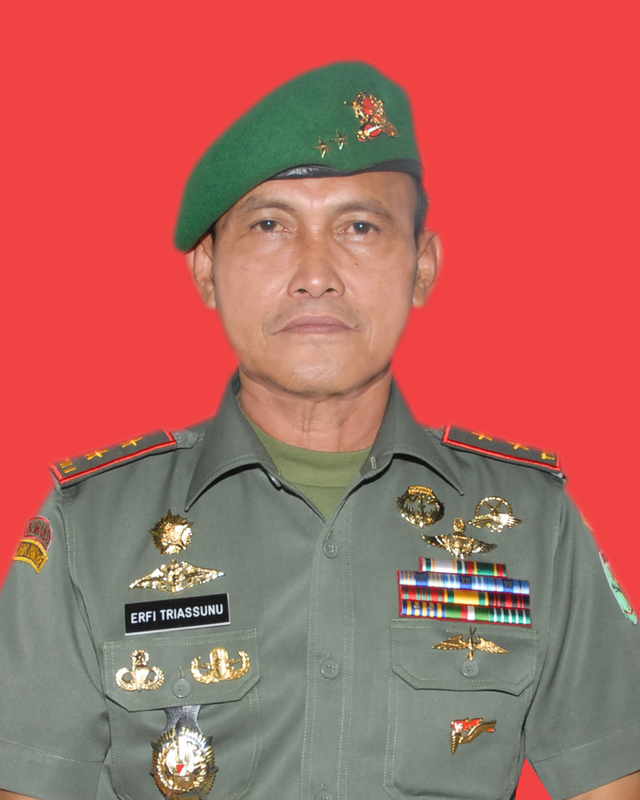 Although this has been denied by Major-General Erfi Triassunu, the military commander of XVII/Cenderawasih military command, the fact is that these ‘new’ troops can be seen almost every day driving along the roads in convoys. Meanwhile, anxiety has continued to spread among the local people and many have left their homes with a new exodus starting on Tuesday.